During our recent trip to the San Francisco Botanical Garden, we were amazed by the different blooms that welcomed us to its natural playground. Devoid of many tourists, the pathways were peaceful. 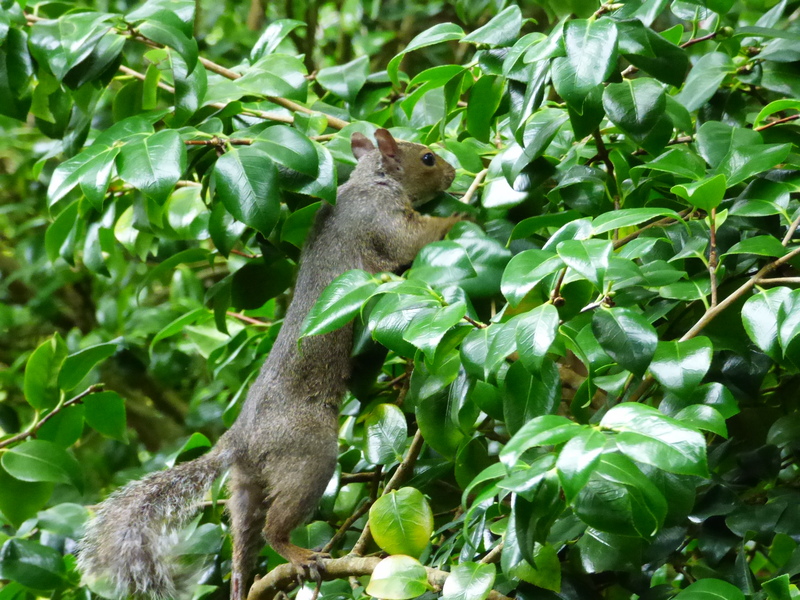 Strolling along the paved routes, we stumbled upon a squirrel. It was kind enough to pose for a “welcome” photo opportunity so I snapped it. Was this furry animal following us or was it a cousin keeping tabs on our journey? We can only assume that these animals were accustomed to humans in their habitat. I imagine that they are professional beggars looking for crumbs of food. After all, how can one resist such cuteness?? On the other hand, ignoring it would be a prudent decision as we did not want to be chased, followed, or even be attacked by this creation of God. So that is what we did – ignored it (but only after I took more pictures). As we followed a bend in the pathway, I saw branches swaying in the wind but wait! There was no wind so it had to be something in the tree. To my amusement, I saw it and quietly turned on my digital camera for a close-up shot. What did I see but our little friend (or was it the cousin?) once again posing for that next photo opportunity (or perhaps it was hoping we had food to spare). Was it afraid? Not in the least! In fact, it decided to lay out in a couple of outstretched poses as if it was enjoying the attention. Being an amateur photographer (and I use that term very loosely), I snapped additional pictures. 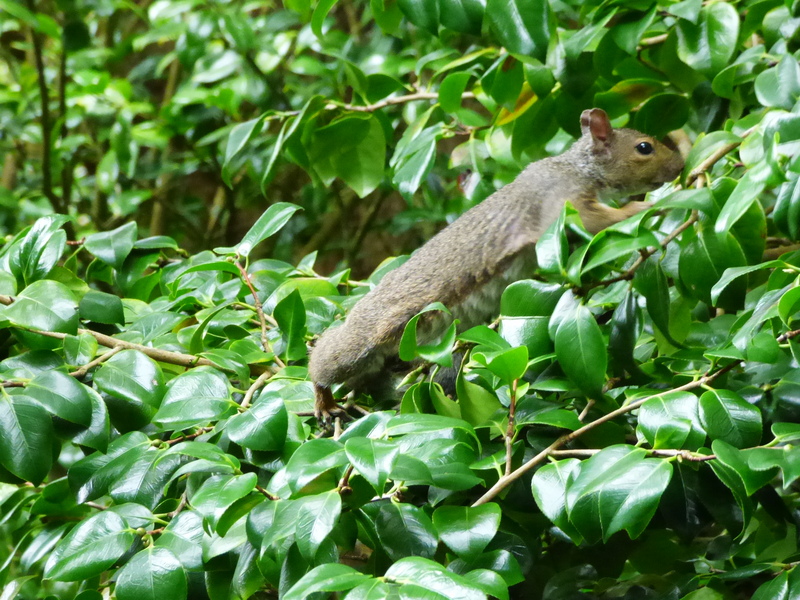 These rodents of the garden are elusive but when they want to show themselves, I unfortunately became a foolish tourist and happily snapped the photos. 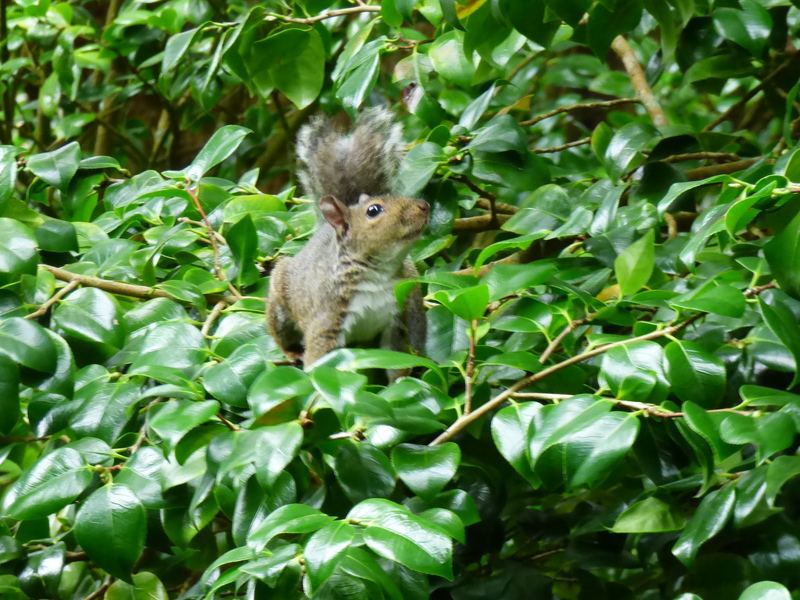 No, it was NOT the first time I have ever seen a squirrel! 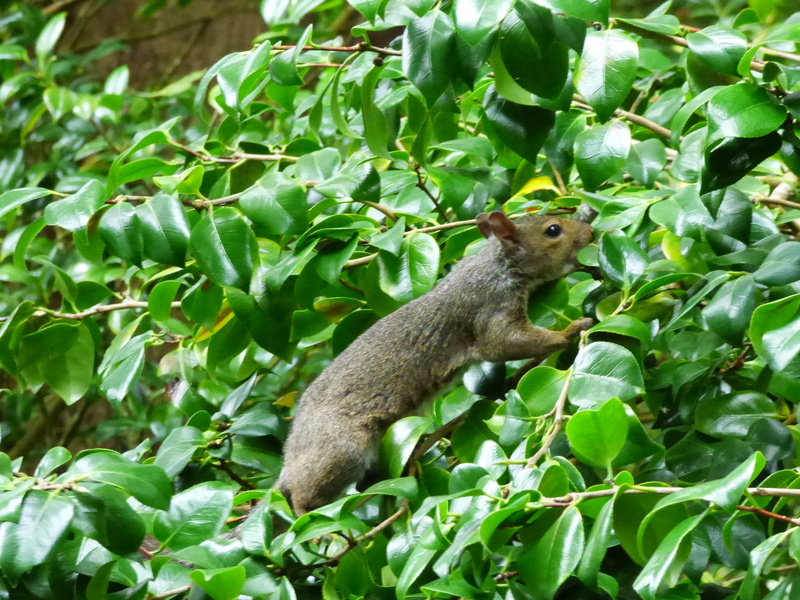 In fact, I could have easily downloaded pictures of this Sciuridae but I find it a challenge to personally capture the images in a feeble attempt to become a National Geographic photographer (OK, you can stop laughing now). Relating to our courage to live on, have you ever considered the parallelism? I mean, we scurry through life looking for our basic necessities whether it is simple comforts, more money, better status, bigger families, etc. Every now and then, we stop to catch our breath, survey the current landscape, determine our next move, and then proceed onward. Perhaps there are times we stop to ask for help only to realize that this is only a temporary solution just like the squirrel looking for a morsel to eat. Eventually, we dash towards our next quest or goal, expending huge amounts of energy, leveraging other people’s resources and at some point, we stop once again. 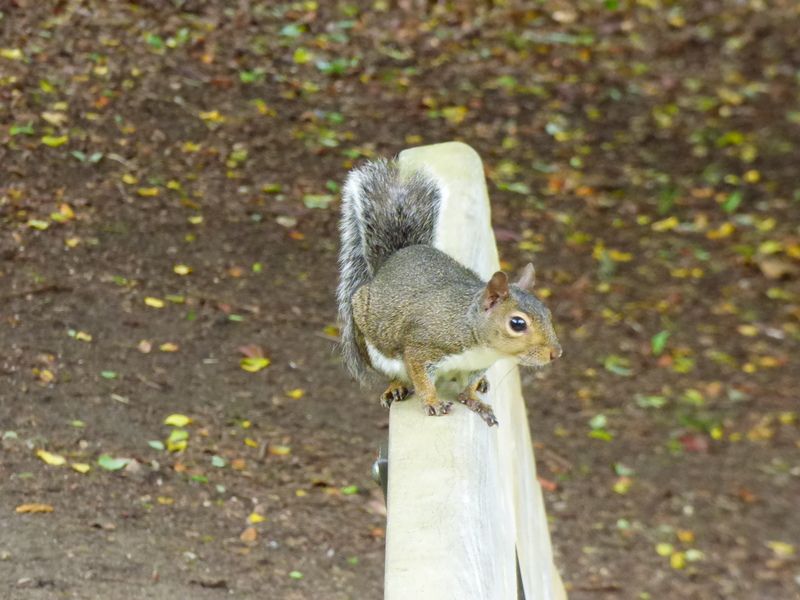 I am like a squirrel, hurrying to my next destination in life. However, at some point, I need to stop and reassess my current circumstances. We cannot go through life at a hurried pace all the time! If we attempt to do so, we will become exhausted and an easy prey for our predators. Taking a lesson from my furry friend in that garden, I will be more aware of when I need to stop and “smell the roses”. Re-energizing myself is not only my choice but if I ignore the warning signs of exhaustion, it will become a necessity. So I thank my little friend for reminding me that I need to have some downtime to have strength for more life! That evening, we were relaxing at our home (an hour away from San Francisco). Suddenly we noticed a squirrel sitting on the top of our brick fence! We have NEVER seen a squirrel on that wall. This entry was posted in Funny, God, Uncategorized and tagged journey, Life. Bookmark the permalink.